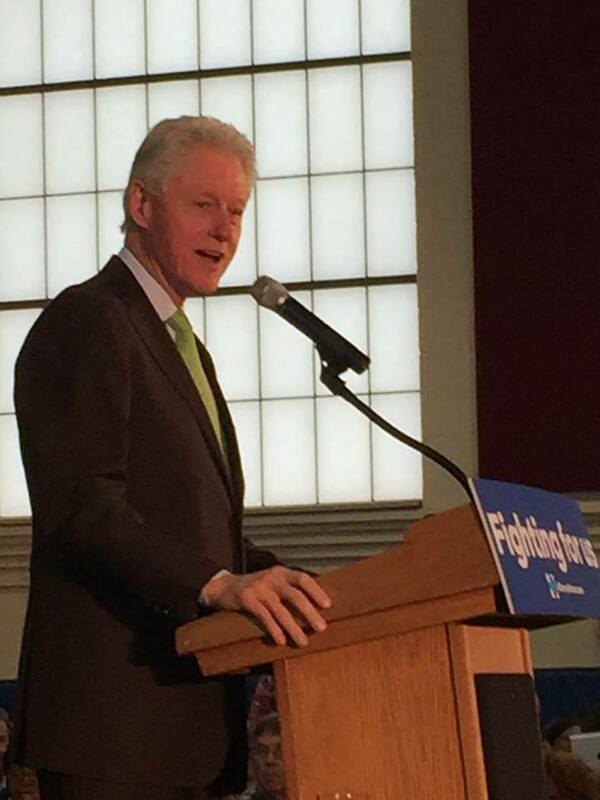 Bill Clinton describing the Grand Opening of the Hoops Renaissance Courts on April 30th. “There will be a hot shot contest, a slam dunk contest, Rita’s water ice, and most importantly my fellow American Tim Kearney with the honorable “first shot”. The festivities will start at Noon. The former President has allegedly changed his speaking schedule to participate in the dunk contest, which should start around 1PM, saying “With the rim lowered to 8 feet, I think I can dunk as well as Kevin Newsome”.